Culling their name from America's famous Highway 66, Mother Road is the inspiration and creation of Texas vocalist Keith Slack (Mudpie, Steelhouse Lane, MSG) and German guitarist Chris Lyne (Soul Doctor). It's somewhat of a match made in blues hard rock heaven. Slack's voice easily merges traditional rock with earthy blues and soul, maybe with a little more of gritty edge. Lyne's guitar mirrors his sound, with a sound sharp and brisk to soulful and stirring. At times he reminds me of John Sykes with a touch of Gary Moore. The two have hooked up with keyboard player and producer Alessandro Del Vecchio to toss in some Hammond organ and piano blues for even more texture. Both of which are pretty fantastic in Still Rainin'. And the Hammond provides the swirling tremelo behind Lyne's guitar in the latter half of These Shoes. The overall sound gives you a cross between late 70's American blues rock and it's British counterpart. If you're thinking something akin to Whitesnake, you'd be barking up the wrong tree. 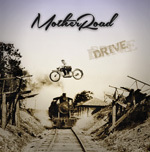 Mother Road has fuller and deep sound, more blues and less the metal edge. Songs like The Sun Will Shine Again or On My Way Again, the first and last songs, respectively, bring a more hearty groove, with Slack reaching deep for some soul and Lyne firing along side the rhythm section with churning riffs and smooth blues licks. On other songs, like Dangerous Highway, Lyne's guitar holds sway with his chord structure and leads leading the entire arrangement, with Slack's vocals riding the wave. While most songs have a deep bottom end thump, Mother Road can lift that up with an up beat rock groove as within Poor Boy and it's refrain. This song also has the whirl of Hammond organ lilting in the background. In the end, the fundamental strengths of Mother Road is the uncanny ability of Slack and Lyne to merge classic hard rock with the blues, giving both equal space to breathe and groove. Good stuff, and easily recommended. The fundamental strengths of Mother Road is the uncanny ability of Slack and Lyne to merge classic hard rock with the blues, giving both equal space to breathe and groove. Good stuff, and easily recommended.